Nintendo recently turned Mario into a cat. Now you can turn your cat into Mario. Sort of. 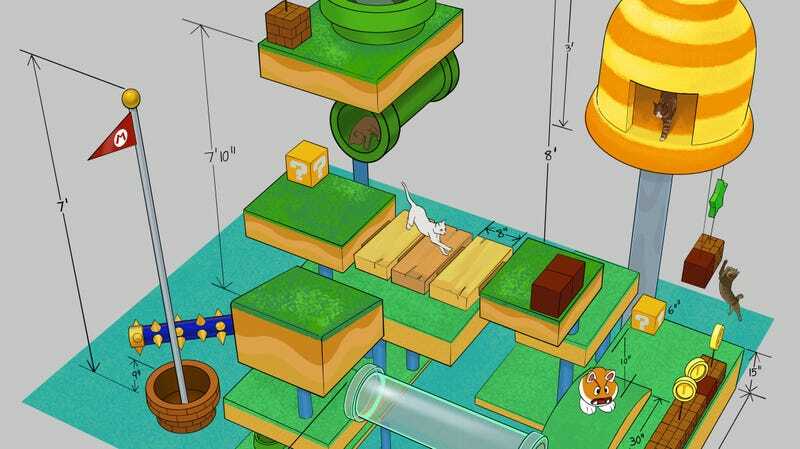 If you're the kind of person who wishes your feline pet could be more like Nintendo's iconic plumber, then this playset diagram might make your dreams come true. It comes courtesy of artist Timothy Ridley and the folks at art gallery/nerd collective iam8bit. Sure, it looks like a lot of work for something that Mr. Fuzzies is going to rip to shreds anyway. But think of all the grateful cuddles you'll receive in return. Cats do that, right? Regardless of any hoped-for cat affection, someone should make this. Maybe a smaller version.